No celebration is complete without a sweet treat. 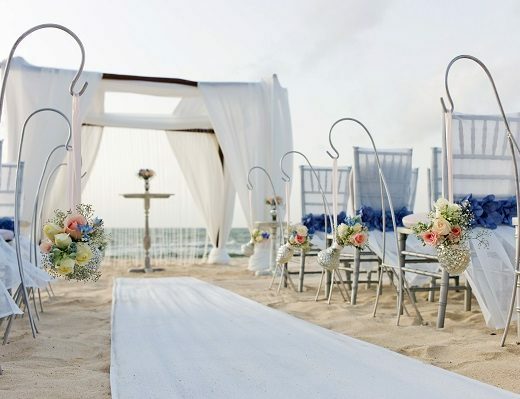 No matter where you tie the knot, you’ll probably be able to order the white-tiered confection you are used to. But, why not indulge in the traditions of your destination? Every island and country has their own take on wedding cake, but they all have one thing in common – they’re yummy ways to top off the day! Jamaica – Like most of the Caribbean islands, black cake is the traditional post-nuptial dessert, Black cake is similar to fruitcake, but it’s a far cry from the dense disaster many of us have seen at Christmas. Instead, it is kept moist and delicious by soaking dates in the island’s famous run for at least six months. White frosting makes the ensemble even more decadent. Mexico – Fruitcake is the go-to wedding cake in Mexico with pops of pineapple and coconut delivering plenty of tropical flavors. For brides and grooms looking for an alternative treat, Mexican wedding cookies are delicate and portable. The crescent-shaped sweets are similar to tea cakes and feature almonds and a delicate dusting of powdered sugar. Bermuda – What could be more luxe than silver and gold wedding cakes? In Bermuda, the groom’s cake is traditionally topped in gold, while the bride’s features a shiny silver frosting. For an extra aww-worthy touch, a tiny cedar sapling tops the cake as a symbol of growing love. After the ceremony, the happy couple takes the sapling home to plant in their yard! Denmark – The traditional Kransekake served throughout Scandinavia has been around since the 1700’s. This tasty treat is a true showpiece of towering marzipan biscuits topped with party crackers or flags. In the customary Scandinavian ring-breaking ceremony, the bride and groom pull off the top rings with their hands and the number of layers still attached predicts how many children they’ll have. 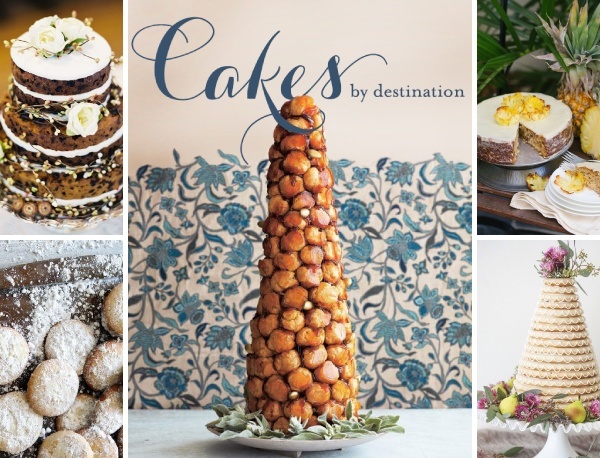 France – On the other side of the globe, French couples eschew cake and opt for a croquembouche. Light, airy cream puffs are arranged in a tower and drizzled in spun sugar. Guests can then dunk the confections in chocolate and other sweet sauces. Just be sure to order extra cream puffs. Like all of the traditional wedding cakes on this list, your guests are sure to come back for seconds. Hawaii – The traditional cake of Hawaii is a recent addition to their wedding celebrations. In the last thousand years, haupia, a coconut pudding cake has become the dessert of choice at these island fetes. The cake is a coconut flavored white cake, coated in haupia pudding and decorated with fresh island flowers and ferns, making it an excellent choice for bringing a little piece of Hawaii into your big day. 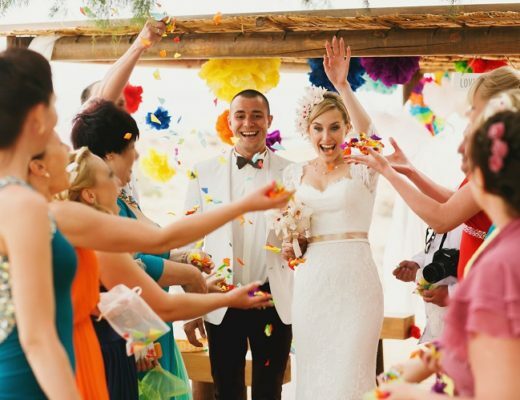 For more inspiration and to see these delights for yourself, browse our latest issue of Get Married Away!